The last few years have seen California facing an increasing number of devastating fires, including the North Bay fires and the Camp Fire — the most destructive fire in California’s history. Our thoughts are with all those who have been touched by these fires: the victims, the displaced families, those who have lost their homes and the many communities that have been shaken. These fires have touched everyone in California on a very personal level: we all know someone whose life has been turned upside down. Navigating the process of rebuilding can be overwhelming. To help the affected communities, BONE Structure® is offering its know-how and expertise at a discounted rate or free of charge to fire survivors, in partnership with local builders and trades. Our services can help you navigate the convoluted world of insurance claims, permitting authorities, design and engineering, construction budgets, etc. To fast-track the building process BONE Structure is offering the following services at reduced or no cost to individuals who have been directly affected by the California fires. Find out from one of our building experts if BONE Structure is the best option for your project. 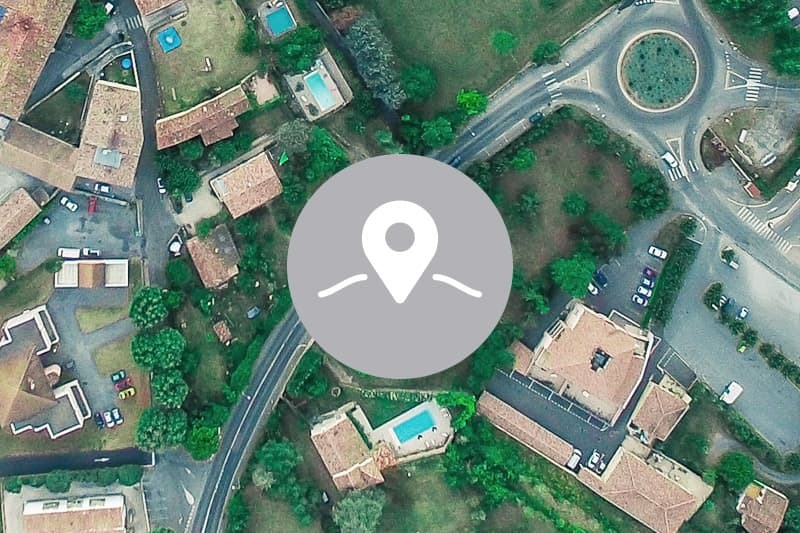 Including a site assessment, budget review and project timeline overview, the complimentary Feasibility Analysis will provide the answers you need to start planning right away. A site visit will allow the BONE Structure team to make the best of your lot. Whether we’re creating an energy-optimized design specific to your views and orientation, or offering design suggestions for your existing layout, a site visit will give us a deeper understanding of your particular requirements. 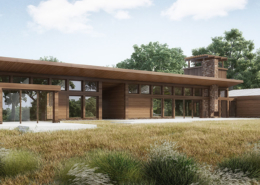 Discover the process of building a Net Zero Ready, high-performance home. Join BONE Structure’s team of experts and learn about the features and advantages of the BONE Structure patented steel technology. 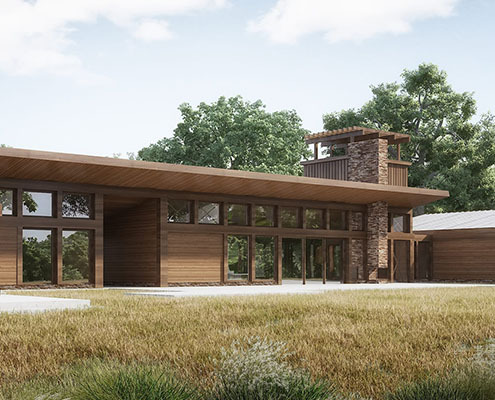 Discover the process of building a Net Zero Ready, high-performance home, from design and permits to construction and finishing. 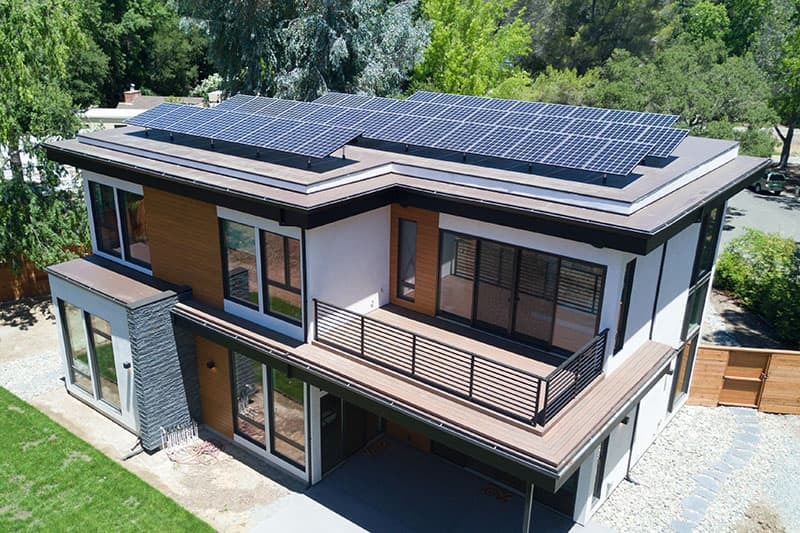 Visit a BONE Structure home currently under construction in Santa Rosa, California, and learn more about the benefits of our system. This is a unique opportunity to experience the patented BONE Structure steel technology in person. 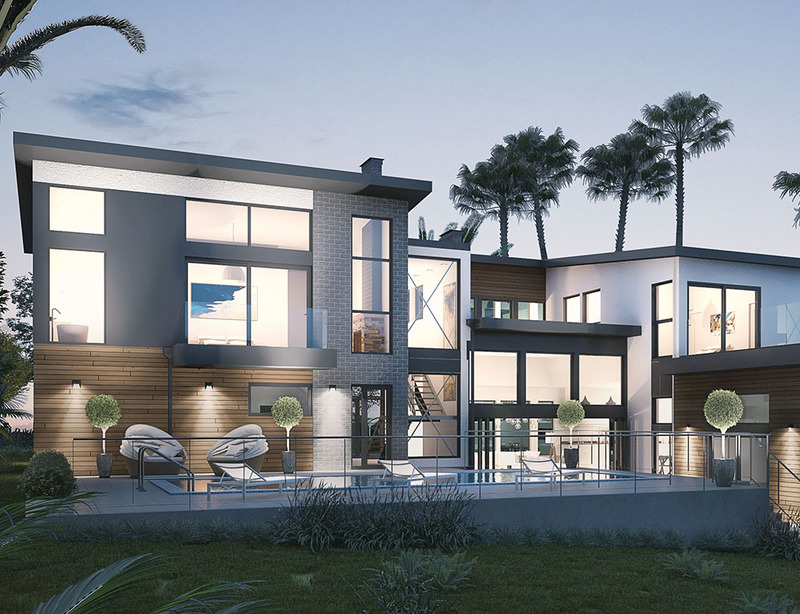 The BONE Structure thermal envelope will be on display, which will allow you to see and understand the unique benefits and attributes of the system before the interior and exterior finishes are finalized. 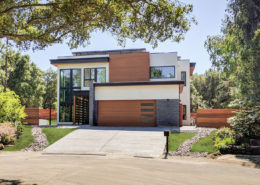 The BONE Structure construction system is the best integrator to build Net Zero Energy homes, and offers superior seismic and fire resistance. 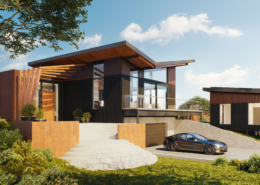 Our patented steel construction system is leading the transition to sustainable construction, with homes designed and built using an integrated process inspired by the aerospace industry. 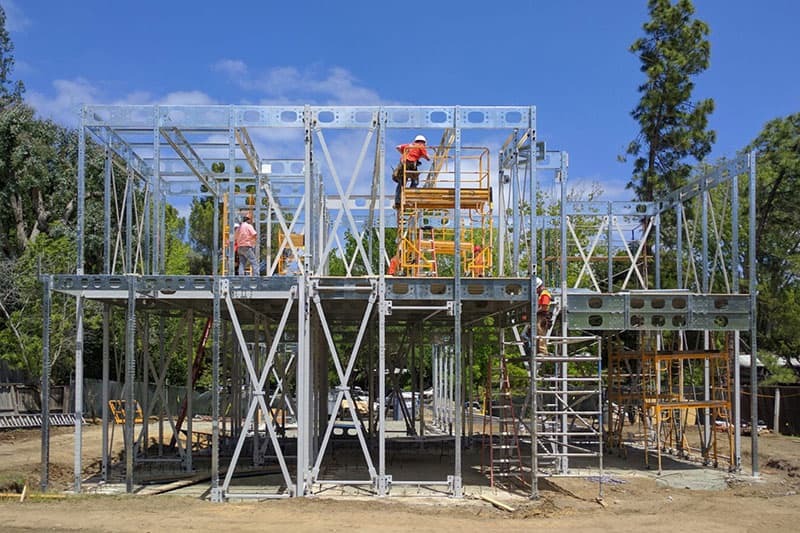 With an integrated deign process that can significantly speed up the design of your new home, and a fast-track permit approval, BONE Structure sets the pace high when it comes to speed and efficiency. On the work site, the assembly speed of our system is remarkable, significantly reducing the framing time for your new home and simplifying the installation of mechanical systems, electricity and plumbing. 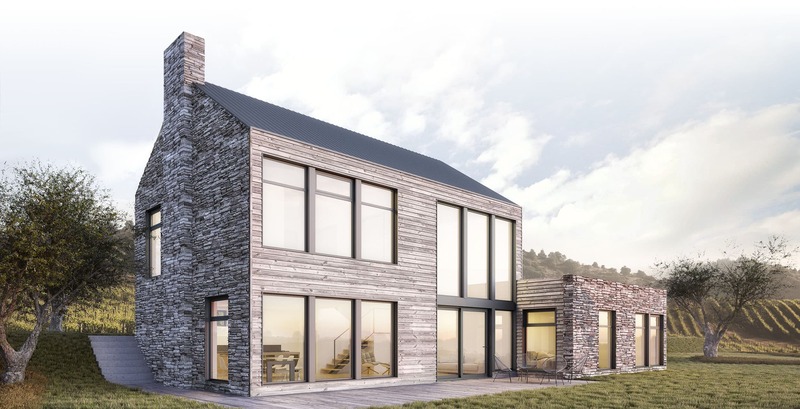 BONE Structure zeroes in on high-performance: from increased airtightness and insulation for unparalleled comfort to an integrated thermal envelope designed for durability and strength, we provide a framing system that is designed to reduce your energy bills to a minimum. This is achieved using local builders and trades, to ensure the best quality and experience for our clients. BONE Structure homes are built with a patented steel structure system, and insulated with a combination of rigid and spray foam insulation. 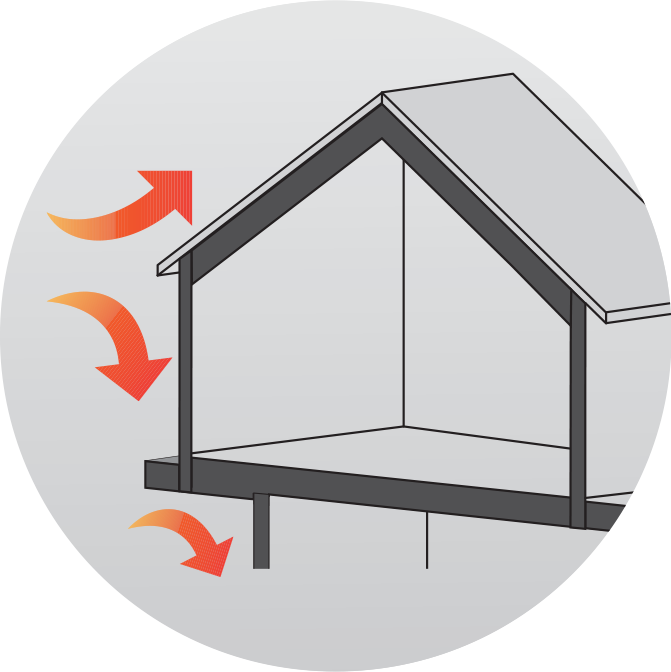 Several design features of BONE Structure homes provide fire resistance advantages, and can help reduce the risk of fire. 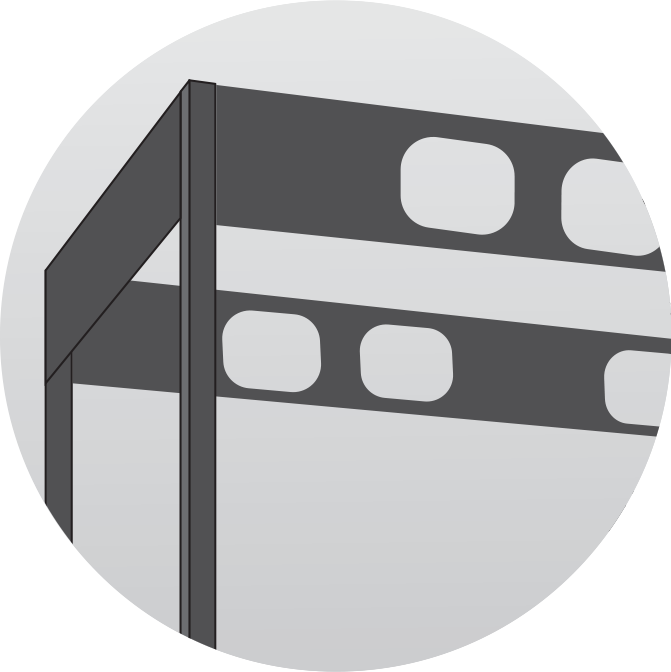 Steel, the main structural component in BONE Structure homes, is a non-combustible material. It therefore does not burn, nor does it provide an ignition source or add fuel load that would enable a fire to spread or grow. BONE Structure Homes are designed with unventilated attics. The shell is closed all the way to the top layer, with no access to the roof structure from the outside. 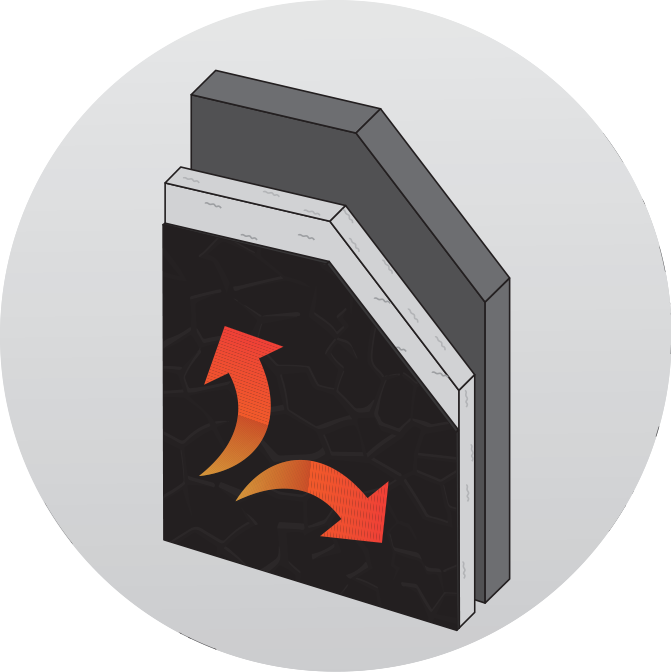 This reduces the risk of fire propagating via flying embers, a very common occurrence in wildfires. 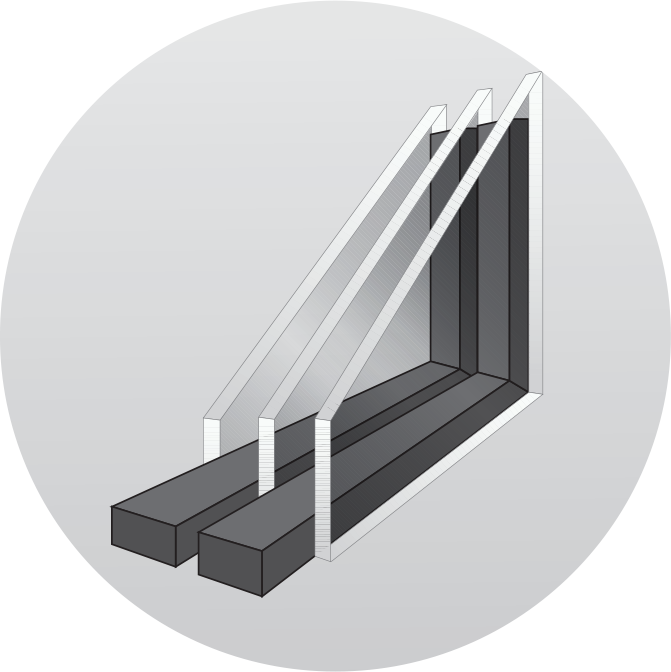 BONE Structure Homes can be equipped with high performance triple pane windows which resist heat and prevent fire propagation much more efficiently than single or double pane windows. Closed Cell Spray Foam is used in the walls and roof of a BONE Structure Home. Contrary to popular belief, Spray Foam does not melt but instead creates a char layer protecting from further fire propagation. Relying on BONE Structure’s integrated services can significantly speed up the construction process: our architectural design, interior design, engineering and project management teams all work in tandem to seamlessly advance your project. Here are the first steps of a typical timeline, for a custom home built in California. With an office in San Francisco, BONE Structure is an established technology provider working in partnership with local builders, architects and trades. BONE Structure homes can easily reach Net Zero energy efficiency, and provide long lasting benefits such as superior resistance to earthquakes, mold and termites. 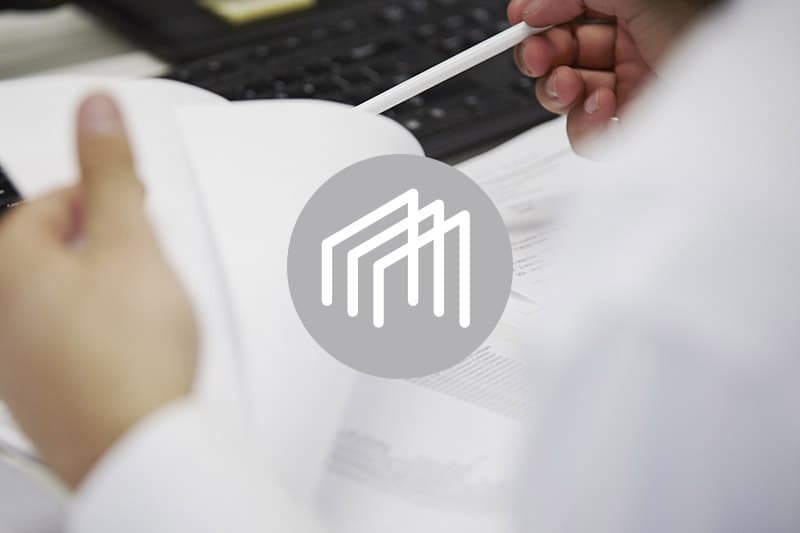 Building permits, seismic load analysis, local regulations and best-practices: the BONE Structure team has the expertise to manage and advance your project with speed. 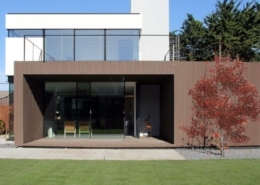 Your architect and builder can easily design and build with BONE Structure, so you can entrust your home to your local team, and maintain full control over all aspects of the building process. Our local architects, engineers and builders are ready to take charge of the project and see it built from A to Z, should you wish to rely on our team for a turnkey home. BONE Structure Homes are made of steel which does not contribute to fueling a fire, contrary to lightweight wood stud construction. Every BONE Structure Home is equipped with fire sprinklers which tremendously reduce fire growth. See this video for an example of their effect. Closed Cell Spray Foam is used in the walls and roof of a BONE Structure Home. Contrary to popular belief, Spray Foam does not melt but instead creates a char layer protecting from further fire propagation. A thorough test was conducted by the East Haven, CT Fire Department which is accessible here. Can I rebuild the same home design? This is up to you! Many clients are attempting to keep a similar footprint to their previous home, but the choice is yours. Schedule your consultation now to get a better understanding of your options. What is the cost of building a BONE Structure home? Many of the costs to build in the North Bay Area are set by the demand of the builders. 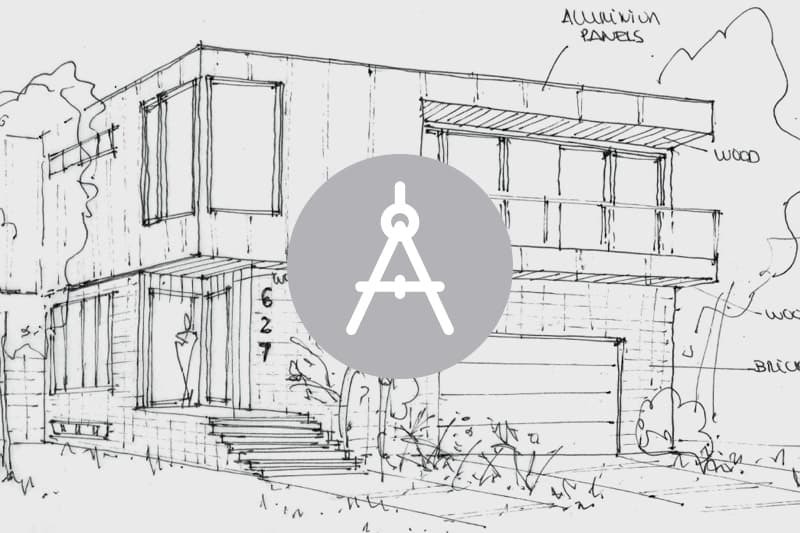 The turnkey cost for a custom designed, modern and net zero home in this area starts at around $450/SF. The final cost per square foot will be determined by the level of finish you choose, which will be decided between you and your builder. Can my home be a Net Zero home? Absolutely! All our homes are Net Zero Energy Ready, and can achieve Net Zero efficiency with ease. 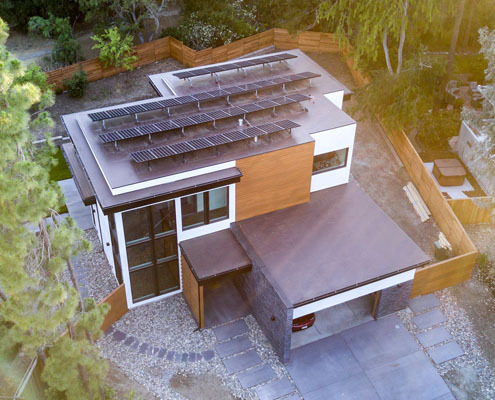 What is a Net Zero home? It is a home that consumes as much energy as it produces over the course of one year. Learn more here.